When I made the decision to spend a week in Rome, I knew there would be the opportunity for an extended layover somewhere, as there are no direct flights from Vancouver. Cities that I’d never been to, like Frankfurt and Zurich popped up along with others like London, Paris and Amsterdam that I had. It seemed that for most, I could force a 2 night layover at no extra cost, which seemed like a no brainer to do. When it came down to it, considering transit time and cost, I was left with 2 choices. Paris or London. 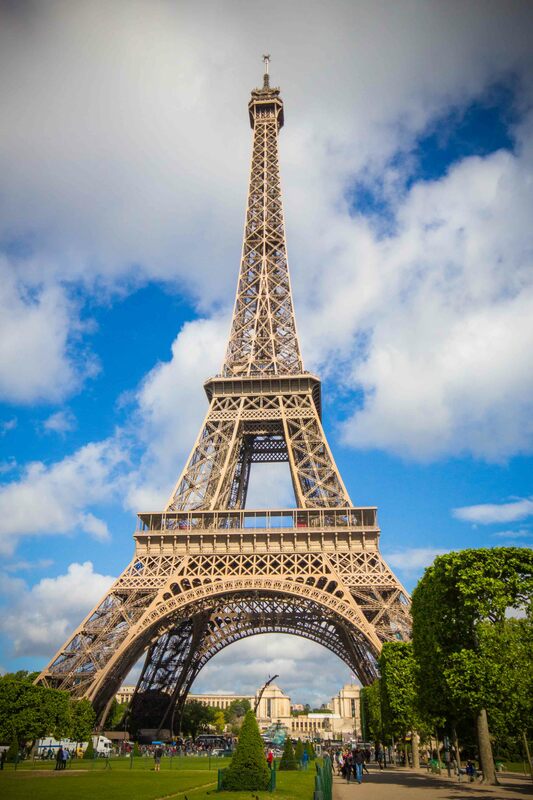 While it’s been over 15 years since I’d been to London, honestly… How can a girl ever turn down Paris? In Rome, I focused my energy on very good eating experiences, but I never set my expectations to find outstanding dining opportunities. I’m sure they’re out there, but for me, Rome was about enjoying the Italian pace of life and making my belly happy with simply delicious food. But for my 2 days/nights in Paris, I knew I had the opportunity to knock my socks off. I had a list of restaurants from my trip to Paris 3 years ago, that I wanted to revisit, so I focused in on the few that I was disappointed I’d missed the last time around. At the top of my list was Le Comptoir du Relais. 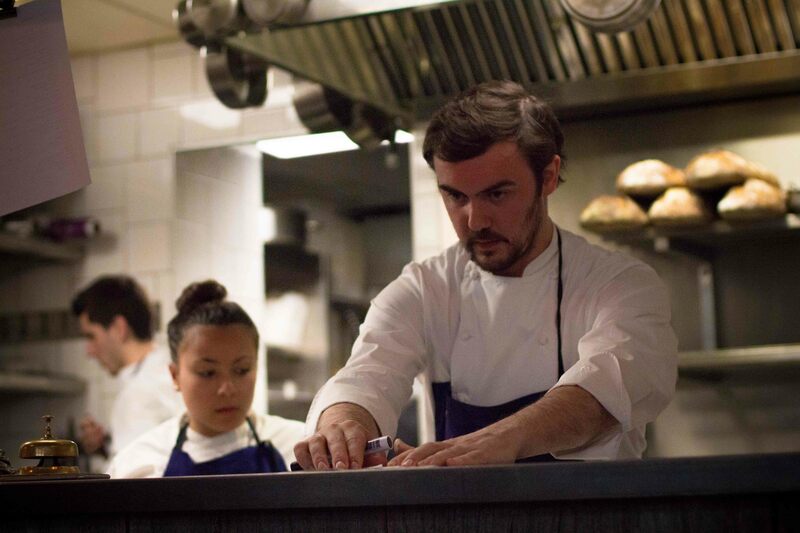 Chef Yves Camdeborde is one of the fathers of the bistronomie movement in Paris, where chefs are serving modern-ish takes on French classics. 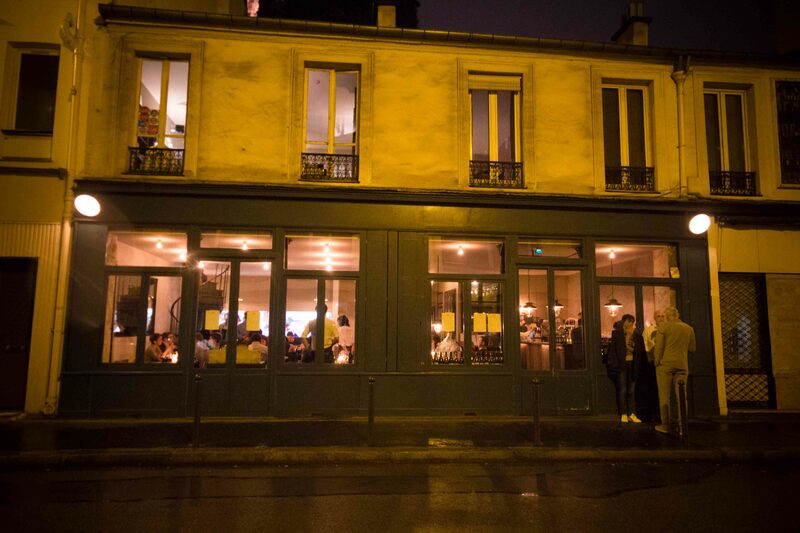 Perhaps I’m dating myself with the use of the term, which may seem so 3 years ago, but for my 2 nights in Paris, I wasn’t looking for stuffy, I wanted a relaxed atmosphere with good food and bistronomie seemed the way to go. I tried to score a reservation at Le Comptoir du Relais with my hotel’s concierge, but even though I know I gave them more than enough notice, I was told the restaurant does not take reservations. I was pretty adamant that it did, forwarding the concierge links to places on the web that backed my claim, but was told “non”. My choice for my second dinner at Chez L’Ami Jean, was not a problem to get. So I started going up and down my Paris list to narrow down another choice. There were many that enticed me, and I was fairly confident I’d find another good meal, so much so that I left my list for while to ponder. A few weeks before my trip, Septime came across one of my feeds and when I did some research, I remembered that a few years ago, I’d chosen Spring over Septime for one of my meals. When I looked into reservations, it seemed they went “live” for the date I wanted the next day. Not wanting to chance being denied by my hotel’s concierge again, I went to my Visa concierge* to make the reservation for me. Success! 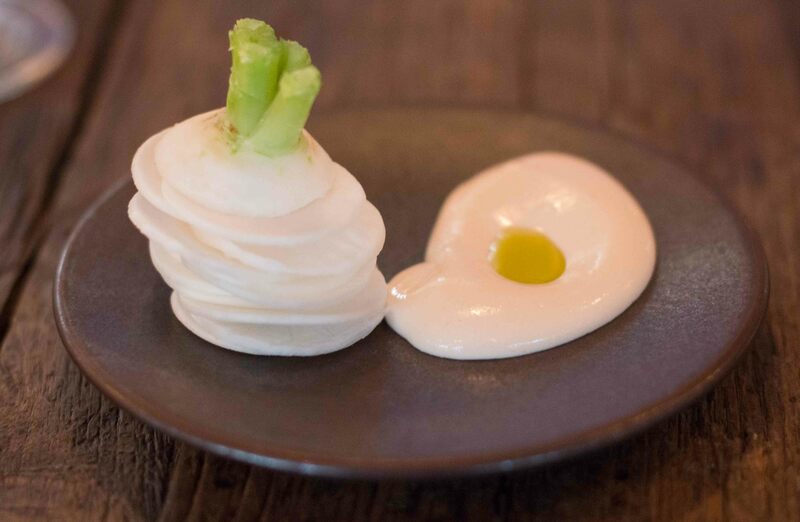 Septime has 1* Michelin and is #57 on the World’s Best list so it was hard not to have high expectations going in. 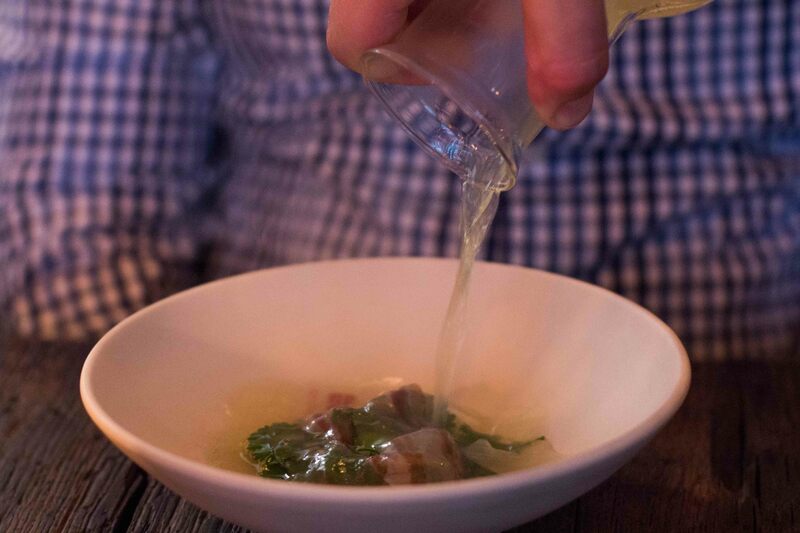 I tried to temper my enthusiasm after my experience at Marzapane, and even when I walked into the restaurant, I couldn’t help but compare the contemporary casual space and have a moment of worry that I’d be let down. But Paris is not Rome when it comes to this genre of dining, and it only took a moment of being in the restaurant to know full well I was going to have an amazing meal. I loved that I was given a choice of where to sit in the room and of course I chose the seat looking right into the kitchen where Chef Bertrand Grebaut was working. 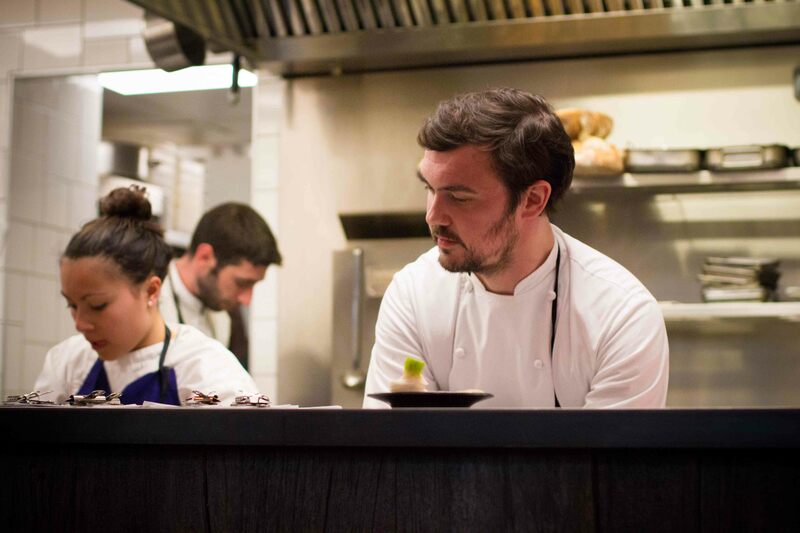 There’s only 1 option for dinner at Septime, a €60 tasting extravaganza. Seeing I was in Paris, eating a tasting menu at a Michelin starred restaurant, I’d say that was “good value”. The menu changes daily and there is no course listing on the table to inform the diner the plan for the evening. Normally I’m not into being surprised, but what could I do? My only concern was that without knowing what dishes would come out, I wasn’t sure what to drink. Lucky enough their sommelier was super helpful with choosing thoughtful wines by the glass that paired well with a few dishes at a time. I enjoyed sitting and watching the kitchen. I felt like I got a good sense of the energy of the Chef, (if not his meticulousness as he kept carefully arranging and re-arranging the felts that sat on his pass. I did also appreciate the first peek at the dishes being served as they sat ready for service. Common to many of my meals, but even more so in this one with no menu to guide me, the descriptions of the dishes may lack a bit of finesse. I chuckle a bit about myself though. I thought I was smart and I took notes as the servers so eloquently described each dish, but as I look at these notes now though, I don’t know what I was thinking, because none of the dishes were properly documented. My only comment to any restaurant with this “surprise” format would be to provide diners with a menu at the end of the night, (like 41° did), because my memory and poor note-taking skills just won’t do the dishes justice. 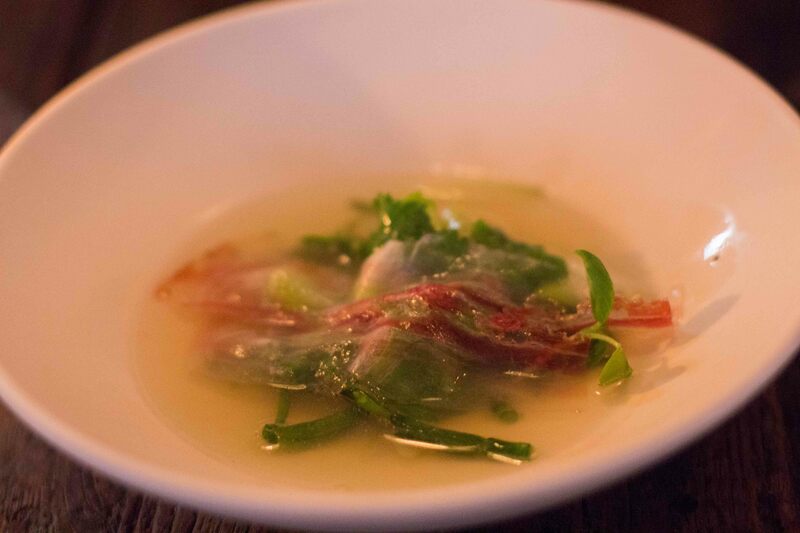 Fish broth poured over raw garbanzo beans, Iberico pork, green onions and sea asparagus. 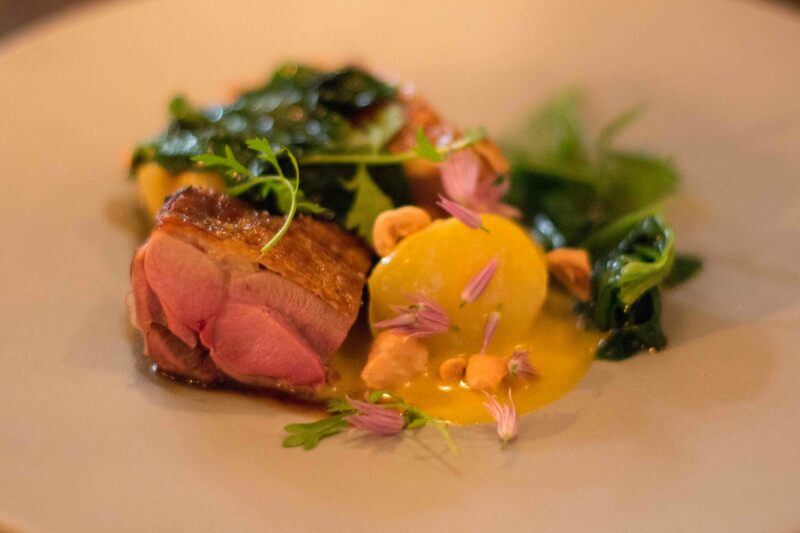 The dish was spring epitomized. 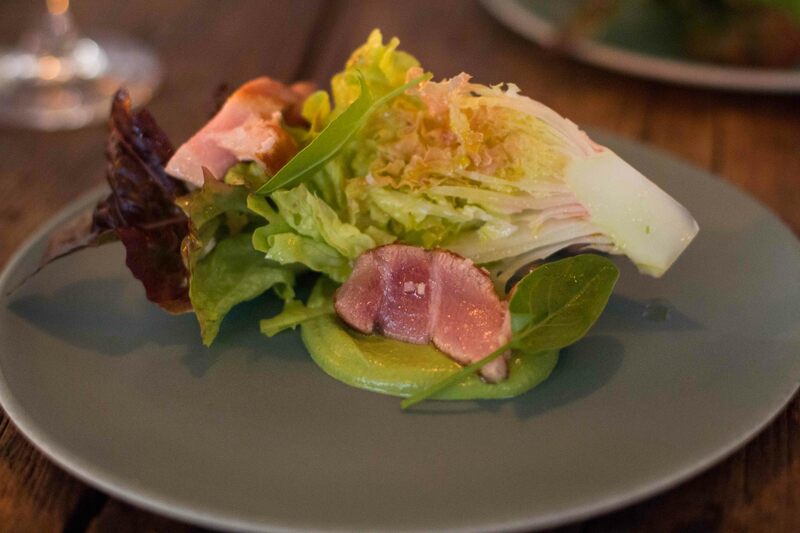 Lightly seared tuna belly with sorrel cream served alongside a wedge of gem lettuce. 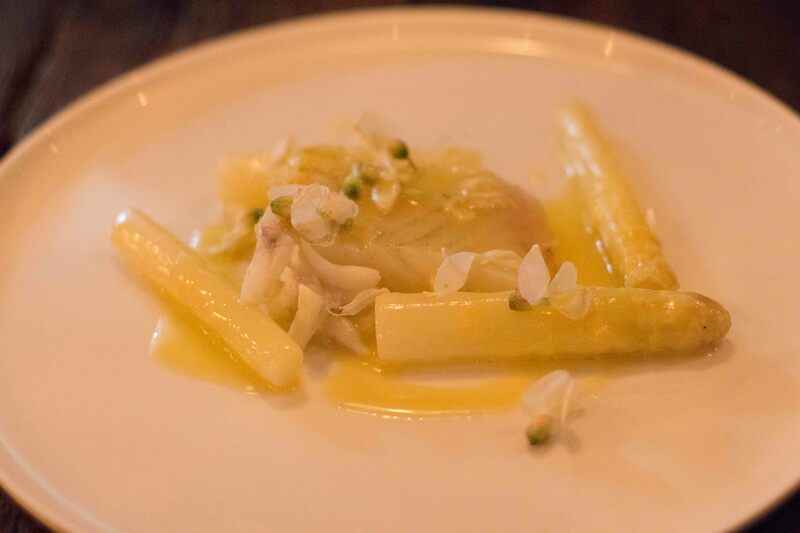 Butter poached white fish with white asparagus and acacia flowers. 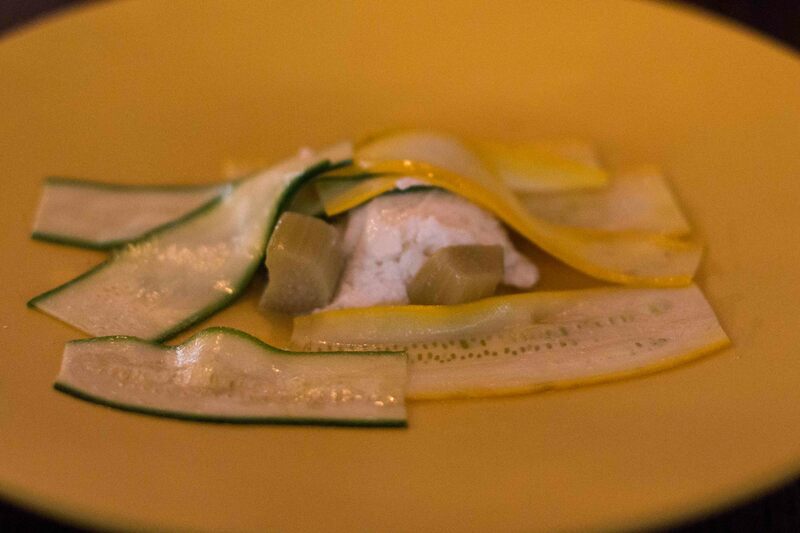 This dish is why I will wax poetic about my meal at Septime for years to come. Guinea fowl with spinach, new potatoes, watercress and a beef/mushroom jus. I know this was some sort of “interesting cold creamy'” on top of granola. 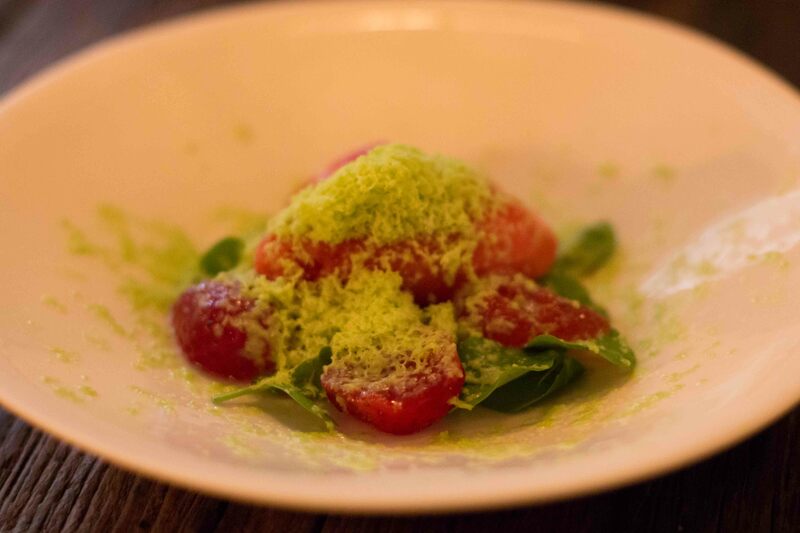 Strawberries and strawberry sorbet with frozen pea puree. Yes peas. the combination was interesting. Each flavour was intensely represented and although I didn’t hate it, I don’t really have a favourable memory either. My meal at Septime was hands down the best of the trip, in all honesty, the best I’ve had all year. 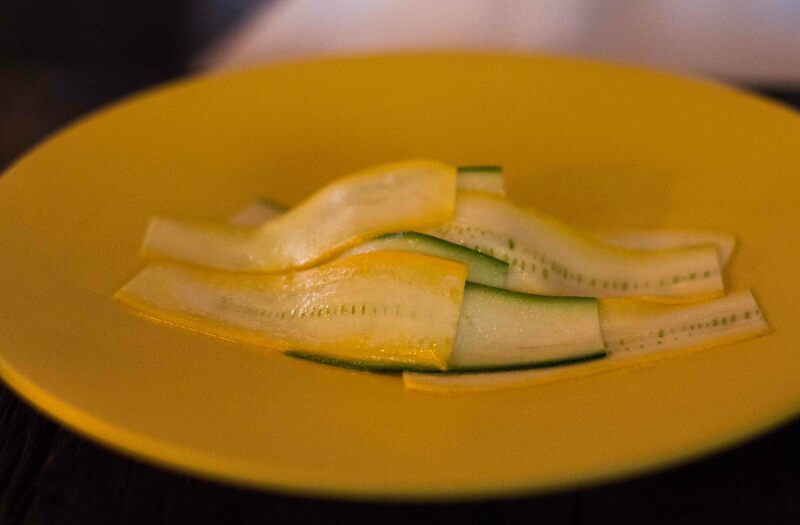 Each dish made me feel like I was in “Paris in the Spring”, experiencing the best the season has to offer. 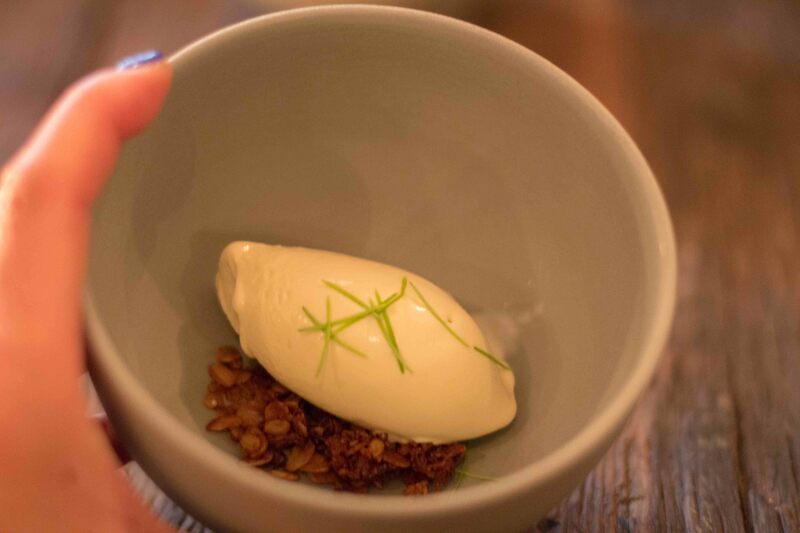 I love thoughtful food with purpose, I enjoy a meal with good pacing and excellent service, and above all when all this happens in an unstuffy atmosphere, then I can’t help be joyous in my experience. I knew Paris wouldn’t let me down, and I love it when I’m right. * I’ve known that my Visa card offers concierge service for years, but the last time I tried to use them, they were not able to secure the reservations I was trying to get in Tokyo. I thought I’d try again and this time the service seems to have become easier to use. And if I can leave booking hard to get reservations in, especially if it involves a phone call in the middle of the night, I’m all for that!